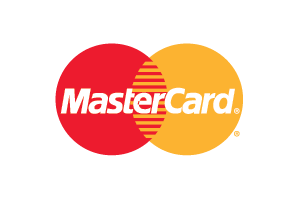 MasterCard Inc. is a global, American financial giant that’s been publicly traded since the mid 2000s. MasterCard is most likely the world’s most recognised and widely accepted name in bank cards and its reach also extends to the online gaming industry. Discovering an online casino that accepts MasterCard is an absolute cinch and this grants MasterCard users a lot of freedom when it comes to choosing an online casino that suits their needs and desires. MasterCard was founded in 1966 and is Visa’s primary competitor in the international card space. MasterCard’s product range is made up of credit cards, debit cards, gift cards and pre-paid cards. Banking with online casinos using any of these however, requires more or less the same processes. This review shall focus primarily on MasterCard credit cards. Online casino banking with a MasterCard credit card works in the same way as doing so with any other credit card. Once a player has chosen his/her MasterCard casino and registered a profile, he/she must select MasterCard from the cashier’s list of banking options. It is advisable to check whether the casino in question accepts MasterCard for making both deposits and withdrawals. The player would then be required to enter his/her card information, inclusive of the card number on the face of the card, the card’s expiry date, the CVC security code at the back of the card, the cardholder’s name and the holder’s billing address. This process takes no time at all and once it’s done, all that is left is for the playerto indicate the amount he/she wishes to transfer to the casino account and the transfer is complete. Charges will always apply to credit card use, so it is advised that players inquire with both their bank and the online casino about any fees prior to banking. MasterCard transfers are quick, both in terms of deposits and withdrawals. Once funds are deposited with an online casino, the player’s casino account is credited immediately and the player could start playing in an instant. Withdrawals are also very quick in comparison to most alternative banking methods. Depending on the casino one chooses, withdrawals may take anything between 1 to 5 working days to actualise in one’s bank account. 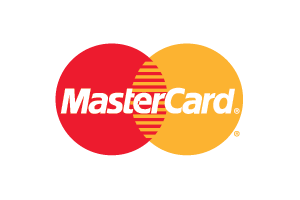 MasterCard provides excellent direct support through a number of mediums, the information to which can be found on MasterCard’s official website. However, seeing as users would have acquired their MasterCard through a financial institution they bank with, it is always advisable to seek any required support through that institution. After all, most people have existing contacts and relationships, which they would have built up over years, with their own bank. Gamblers.casino recommends the use of MasterCard for online gaming. It’s a quick and easy way to bank, its credit facility gives players financial freedom, it’s safe and secure, it’s widely accepted, and it comes with several welcome and reload bonuses attached to it at many online establishments. Minimum and maximum deposit and withdrawal terms are not uncommon when using MasterCard, but this depends on the player’s chosen casino. Also, players should always keep in mind that the financial freedom that comes with the credit facility this card offers may also be a downfall. Remember to never play beyond your means.